Are you unable to meet your targets? Are you having difficulty moving to a higher level of productivity? Do you feel like you are underperforming, and not tapping into your full potential? 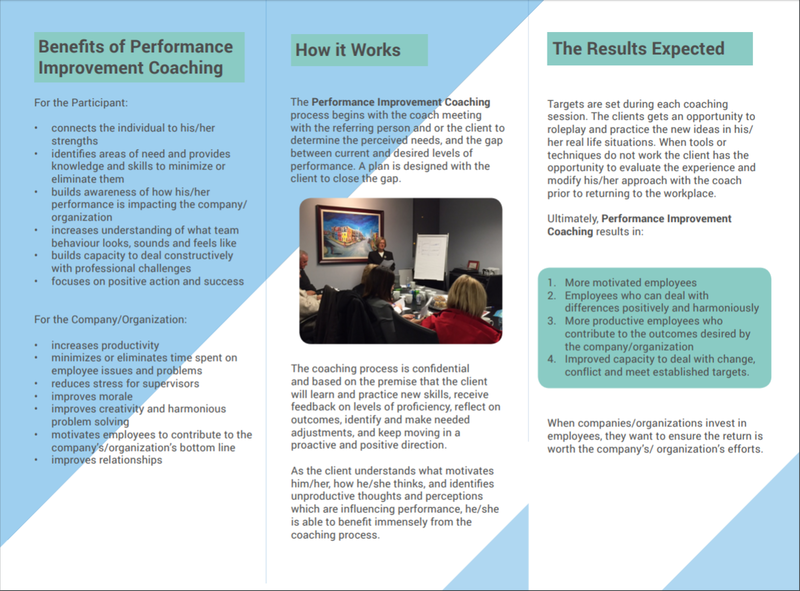 The Performance Improvement Coaching process begins with the coach meeting with the client to determine the perceived needs, and the gap between current and desired levels of performance. A plan is designed with the client to close the gap. The coaching process is confidential and based on the premise that the client will learn and practice new skills, receive feedback on levels of proficiency, reflect on outcomes, identify and make needed adjustments, and keep moving in a proactive and positive direction. As the client understands what motivates them, how they think, and identifies unproductive thoughts and perceptions influencing their performance, he/she is able to benefit immensely from the coaching process. Improved capacity to deal with change, conflict and meet established targets. When companies/organizations invest in employees, they want to ensure the return is worth the company’s/ organization’s efforts. I wanted to pass on very specific feedback on your work with one of our employees. 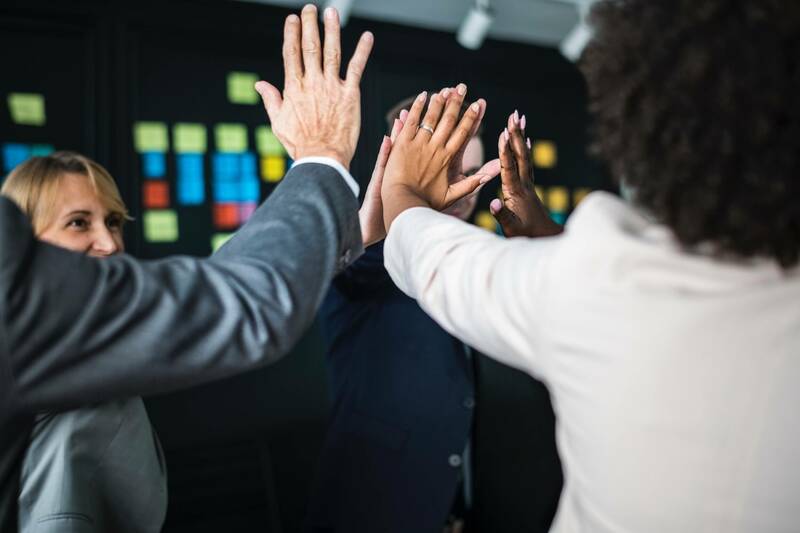 The employee shared that you were able to assess her situation adeptly, and were able to understand and consider her profession and gender issues. She indicated increased problem solving in all levels and types of communication in the workplace, and reduction in her personal reactiveness and levels of stress. I learned how my “Gregorc Mind Style” will help me understand my natural way and how to relate to people who have different styles. I know i) what makes a good elevator speech and how to make people want to know more and ii) the importance of having ‘offerings’ that will give people a choice. I now have a practical way of making sure my business objectives are met. Dr. Kelleher-Flight’s presentation helped us meet our conference goal by providing information to benefit delegates in their respective businesses. We were very pleased with the positive comments on your workshop.